Prior to theatrical screenings of 2014’s Mr. Peabody and Sherman, audiences greeted a short called Almost Home. This introduced an alien species called the “Boov” and showed their efforts to find a new home planet so they could escape their enemies, the “Gorg”. As Almost Home ends, Captain Smek (voiced by Steve Martin) leads the Boov to their new residence: Earth. 2015’s feature film Home picks up where the 2014 short concludes. The Boov take over Earth and segregate humans into camps all over the planet. 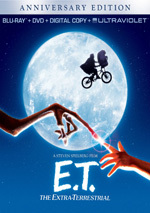 When the Boov conquer Earth, adolescent Gratuity “Tip” Tucci (Rihanna) manages to hide from the aliens, but they abduct her mother Lucy (Jennifer Lopez) and send her to one of the camps. Tip becomes determined to find and rescue her mother. In that endeavor, Tip gains an unlikely partner. A Boov named Oh (Jim Parsons) fails to fit in with his species-mates, and he finds himself a fugitive when an attempt to make friends goes awry. Oh wants to throw a party, but he inadvertently sends his invitation out to the Gorg as well. Because of this, Oh ends up on the run to avoid punishment for his mistake. He meets Tip and agrees to help find her mother as long as she assists his attempts to make things right with his fellow Boov. 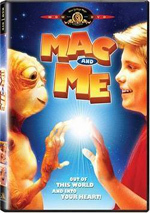 We follow these joint storylines as well as the burgeoning friendship between human and alien. When I saw Almost Home, I liked it. The short stood on its own and offered a clever little comedy. I figured Home would focus on the adventures of Captain Smek and deliver another fun and humorous romp. This doesn’t occur. As my synopsis indicates, the movie concentrates on Oh and Tip, so Smek – and most of the other characters – don’t get much to do. They serve to motivate events among Oh and Tip but lack much standalone value. I wouldn’t mind this if I actually liked/cared about/took interest in Oh and/or Tip. Unfortunately, such emotions never manifest themselves. Parsons gets the annoying side of Oh down but he can’t make the character likable or enjoyable. Oh comes across as irritating and sappy. Rihanna also fails to bring life to Tip. Granted, like Oh, Tip’s supposed to be rough around the edges, so we shouldn’t expect to fully embrace/enjoy her moments. Still, I think we should eventually grow to like Tip, especially given her circumstances. She gets stuck in a bad situation, so we should sympathize with her and care about her. We don’t. Tip remains vaguely unlikable, so we don’t get the expected emotional charge from her journey. Rihanna has little acting experience, and that shows in her lackluster performance. Home does kick to life at times. Martin’s moments as the egotistical Smek amuse, and the movie throws enough wacky situations at us to create sporadic entertainment. The flick comes with a reasonable amount of cleverness. Unfortunately, the Oh/Tip relationship at the movie’s core leaves me hollow. They dominate the tale and ensure that it remains less than enthralling. Home is a decent piece of fun but it never becomes better than average. Home appears in an aspect ratio of approximately 1.85:1 on this Blu-ray Disc. Like most computer animated affairs, this one looked terrific. Sharpness was excellent. At all times, the movie exhibited virtually flawless definition, without a hint of softness on display. No signs of jaggies or moiré effects materialized, and edge enhancement didn’t appear. I also failed to discern any print flaws in this clear presentation. With a broad palette, Home offered delightful hues. The colors were vibrant and bright at all times, as they showed eye-popping vivacity. Blacks were deep and tight, while shadows appeared smooth and well-defined. This was a killer image. While not as strong, the film’s DTS-HD MA 7.1 worked fine for the movie. The soundfield tended to focus on the front speakers, though the rear channels kicked to life at times. These occurred mostly during the occasional action scenes; we got good movement for vehicles and all the alien antics on display. Otherwise, the music showed nice stereo dimensionality, and the track gave us a positive sense of place and involvement. Audio quality was fine. Speech seemed concise and crisp, while music offered good range and clarity. Effects were also accurate and full, as they represented different elements well. I thought the track lacked the scope to be more than a “B”, but it seemed more than adequate for the story. Home comes with a roster of often kid-oriented extras. Best Party Ever! launches these as an introduction. The one-minute, one-second piece simply offers an overview of the disc’s bonus features. Skip it. With Oh’s Party Place, the actual supplements begin. This area provides a few components. “Oh’s Shake Your Boov Thing” (2:56) shows us Oh’s dance moves, and “Oh’s Boovy Jukebox” allows you to jump to any of 16 musical moments from the film. We also find two music videos for Jennifer Lopez’s “Feel the Light”. The first (4:10) mixes movie clips and dramatic footage of Lopez. It’s a dull video, but Lopez looks good in her revealing bodysuit – even if that seems like an odd choice for a video that accompanies a kid-oriented film. The second video (2:04) focuses on film snippets as well as images of Lopez in the studio; it also offers the song’s lyrics on screen. “Oh’s Party Planning Tips” (4:04) shows movie segments with narration from Oh, as he tells us how best to throw a party. Finally, “Oh’s Costume Party” lets us dress up either Oh or Smek. Of the “Party Place” features, “Tips” works best, but none of them seem especially useful. Under Short Boovies, we get three clips: This Is Being Boov (2:53), Almost Home (4:08) and Testing Lab (2:04). In Boov, Oh educates us about his species. Some cute moments emerge, but the short loses points due to the apparent absence of Jim Parsons as Oh; maybe I’m wrong, but it sounds like someone else does Oh’s voice here. No such problem occurs in the Steve Martin-led Almost Home. As discussed in the body of the review, Almost acted as a cinematic prologue to Home, and it’s a lot of fun. Lab shows the ways the Boov misuse human gadgets. It becomes little more than a collection of movie snippets, though a few unique moments emerge. Six Deleted Scenes fill a total of 26 minutes, five seconds. We get “What a Dump” (5:39), “Hide and Seek” (3:10), “Oh’s Apartment” (3:24), “Empty Earth” (3:13), “The Swamp Chase” (6:46) and “The Key Fight” (3:29). The first four offer alternate openings for the movie, and they give us interesting change-ups. “Swamp” gives us an action scene set in Florida, and “Fight” follows it with more interaction between Oh and Tip. All tend to be fun to see, especially when we can check out the different openings. Next comes a tutorial called Be an Artist. Hosted by story artist Andy Erekson, this 22-minute, 41-second compilation teaches us how to draw Oh, Tip and Pig the cat. Erekson offers nice details about the art in this fun lesson. A featurette called Stars of Home goes for one minute, 32 seconds and delivers comments from actors Rihanna, Jim Parsons, Jennifer Lopez and Steve Martin. They discuss their characters but don’t really tell us anything in this promotional piece. A Gallery provides 24 stills. These show images from the movie, which makes them semi-forgettable. A gallery with concept art would be more interesting. The disc opens with ads for The Peanuts Movie, The Penguins of Madagascar, and various DreamWorks Animation TV series. We also find the trailer for Home. The World of DreamWorks Animation throws in musical snippets from and/or trailers for Shrek, Madagascar, How to Train Your Dragon, Kung Fu Panda, The Croods, Turbo, Mr. Peabody and Sherman and various “DreamWorks Holiday Favorites”. 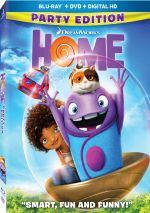 A second disc provides a DVD copy of Home. It includes “Best Party Ever!”, “Oh’s Party Place”, the gallery and “The World of DreamWorks Animation”. While not without its charms, Home tends to fall flat. It comes with an uninspired, cliché-ridden script that doesn’t get a boost from most of its cast. The Blu-ray brings us excellent visuals and good audio along with an erratic but occasionally useful set of supplements. Home occasionally entertains but it lacks much sizzle.